the contemporary culture of a country is framed by many factors including the media it consumes , so thanks to the media we Indians have become sensation hungry “at your face ” kind of people who even in presence of dignitaries like the president or the prime minister boo the one we think have brought shame to the country . Isn’t booing in front of so many foreign dignitaries a national shame , more embarrassing than the crores of rupees slashed down the drain by these corrupt officials ? . we have become so insensitive that we actually follow – tv shows like emotional atyachaar , news channels like times now which thrives on plain speculation or serials where women are treated not more than slaves . how have we,one of the oldest and greatest civilisations came to be the long-lost twin of the Yankees? , how come a country as diverse as ours came to be so homogeneous in its tastes ? – the answer to these two questions is – the great indian media . the run up to the commonwealth games have shown the news channels and news papers stooping so low that BBC and its Indian reporting came to be more palatable . the media thrashed the countries’ image into pieces that the foreign media started to speculate whether the games were ever going to happen . TIMES NOW – the mother of sensational news in india was in the forefront , HEADLINES TODAY – the cheap cousin of the times group flagship channel followed the suit . so we were bombarded with filthy toilet stories , mosquitoes and dengue . have they been not living in India ? these are basic realities here . 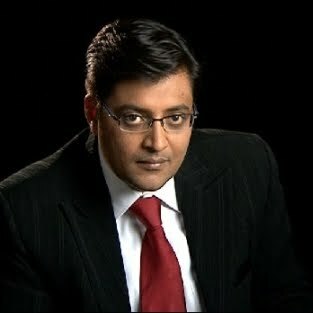 I bet even arnab goswami must have been bitten by mosquito, at least once . they just blew things out of proportion that it was made into a national issue . in a country where millions die of malnutrition these stories dominated the airspace for weeks .and finally when the D day came the opening ceremony went smooth . so WHY did they make such a lot of noise about the games – was it just for the country to be ridiculed by a country like New Zealand whose population is smaller than many districts in India or Australia which is barely the size of mumbai? . i guess so , as we will never get the answers – the critics have become admirers of the games, and asking questions to a patriot about the treason he did is treason in itself . the youth channels have become places were the human emotions or dignity are alien concepts . u have shows like ROADIES where people line up to be insulted to the extent that the average viewer’s heart goes out for his whole extended family . the reality shows which pit people against each other and manipulate their reactions are so inhuman that in front of those producers Stalin would look a better person . commenting on the TV serials is more pathetic than they actually are. there were talks of the government bringing in new regulations to make the media more responsible as of now this has not happened . but such a watch dog is a necessity or else we will turn into a society so driven by these manipulating thugs that we will have our own Iraq invasions and we will never respond to that.